Earlier this week, we found that some unlocked Samsung ATIV S handsets have began receiving a new update from Windows – General Distribution Release 2, or GDR2. Turns out that unlocked HTC 8X have started joining in onto Sammy's fun earlier today, which likely confirms that the roll out is already under way. You'll probably arrive at the same conclusion that we did: these are all relatively minor. Fortunately, the GDR3 update, also known as Windows Phone Blue, will bring features of a significant importance in comparison. Apart from support for 1080p devices, WP Blue is expected to introduce huge changes such as a new notification center, better multitasking and unknown changes to native Windows Phone apps. As always, once it's official, you'll be among the first to know. Made it as 1st commenter before TROLL :) anyway wonder how it performs, any review on it? Root and void the warranty in a flash, oh wait. In my country, at least with Samsung's devices, any hardware issue can be fixed with the warranty, regardless rooted or cooked ROM or not. Haha as always, to get something you gotta break the system first. No support once that. To each their own, on their own. GDR2 is already available on some unlocked phones; guess you glossed right over the aricle. T-Mobile devices will start getting GDR2 in 3 days, not 2 months. On Android you would HAVE TO root to get the features because your device wouldn't be getting the official update anyway. how long does it take non rooted droids to get updates if they even get it at all? in other words what you are saying is you have to manipulate an os that's suppose to be open and customizable in order to get an update?? Own an HTC 8x unlocked on Tmobile. Haven't seen the update yet. Will keep an eye out on it. You might not get all of the features, depending on your carrier (Data Sense has to be Carrier enabled to work). You are correct as far as I can recall. 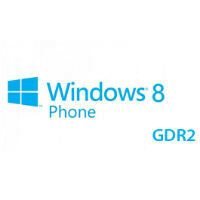 GDR3 is supposed to be released by the holidays at the end of this year, Blue (8.1) is supposed to be released in first quarter 2014.
any news for lumias here in the philippines?